Our Early Interventionist’s have a combined experience of over 50 years in Early Intervention and over 30 years in working with children and adults with special needs. We provide all of our families with intensive early intervention training, service coordination, and also assist our families in accessing community resources and transitioning to school services. Read the full story of why we do what we do and the inspiration behind Carolina Behavior & Beyond! 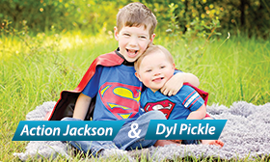 Carolina Behavior & Beyond is a home-based early intervention provider serving children with special needs, ages birth-five in Calhoun, Lexington, Richland, Newberry and Saluda counties. Our Early Interventionists have combined experience of over 50 years in Early Intervention and over 30 years in working with children and adults with special needs! View all of our services and see how we can help you! Read stories from people like you who love Carolina Behavior & Beyond! Meet the hearty crew who runs the ship!